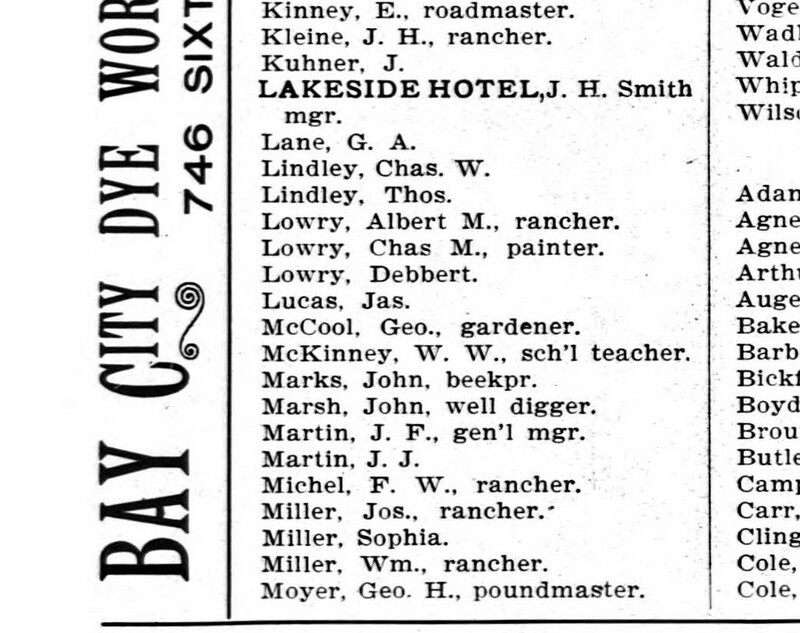 Those readers who may be facing some holiday driving time over the next week can take some comfort in an item from the San Diego Union back in June of 1880. It announced that “Two new stations have been created on the route of the Coast Line Stage Company” which provided service from San Diego to Anaheim. One of the new stations was at Forster, the other near San Juan Capistrano. The article stated that this would increase the number of stations on the line from three to five. Forster was a town on the northwest edge of Rancho Santa Margarita, along the San Onofre River. We know Rancho Margarita today as the site of Camp Pendleton. Distance from San Diego to Anaheim: 96.6 miles. Happy Travels and Happy Holidays, everyone! Two definitive books on the origins of California place names attribute the name to the role played in the community’s development by the “boulevard” of Highway 80, linking the area with the Imperial Valley. 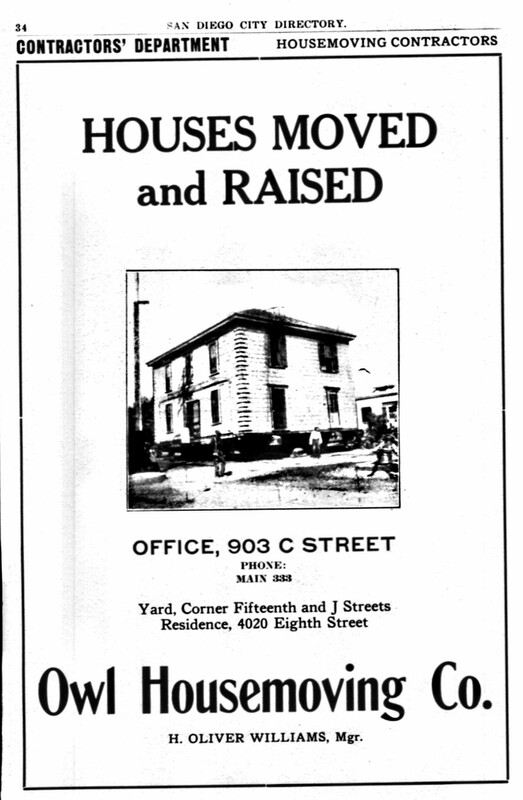 A check of the U. S. National Archives register of post offices shows the first Boulevard post office being designated in November 1909. The first postmaster was William H. Ruby. The Rubys were a ranching family in the area tracing back to the late 1880s. In 1913 William Ruby’s brother Don took over as postmaster, a position he would hold for almost 30 years. You can find references to the Ruby family in newspaper accounts over the decades serving their community not just as postmasters but also election poll officials and volunteer firefighthers. Which lends credibility to the most direct story on Boulevard’s name. In 1964, a reporter for the San Diego Union interviewed some longtime county residents about the origins of several place names. One of the places the reporter looked into was Boulevard. The person he spoke to was Vi Ruby, the widow of Don Ruby, who told him that when the U.S. Postal Department decided to create a post office in their village, they asked the Rubys if they had any suggestions. 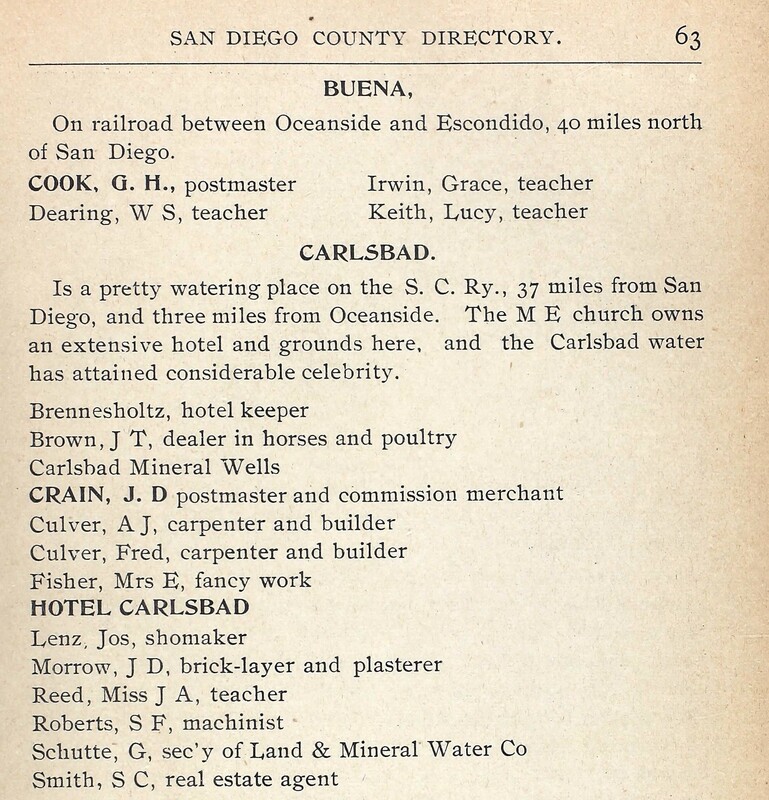 In addition to the aforementioned U. S. National Archives register of post offices, sources for this post also included historic San Diego County newspapers and the books California Place Names: The Origin and Etymology of Current Geographical Names by Erwin G. Gudde, and San Diego County Place Names A To Z by Leland Fetzer.